The third Thursday of November, all Beaujolais lovers celebrate the arrival of the new vintage of Beaujolais. Discover the 2014 vintage and its new style! Last year, Beaujolais Nouveau was wearing a dress thanks to a collaboration with the fashion world. 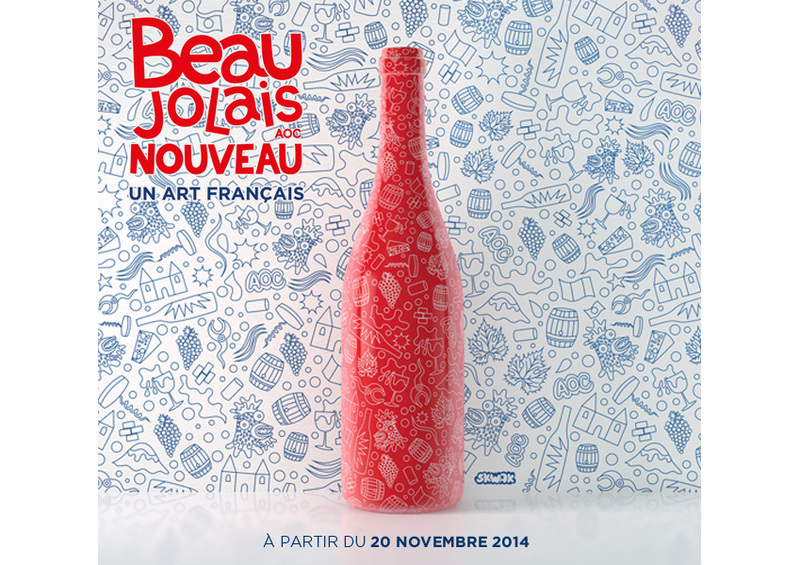 For the 2014 vintage, they asked a French artist to design the bottle and illustrate the motto: Beaujolais Nouveau, a French art. Skywak is a young artist from Lille, Northern France, specialized in street art. He chose to work on a festive pattern representing the different faces of Beaujolais Nouveau. You can see the result on the picture above. If you want to join the celebration or simply try it, Waitrose Cellar have Georges Duboeuf Beaujolais Nouveau 2014 for just £7.99 per bottle! With a colourful label, the bottle invites you to celebrate and have fun. The wine is full of red berry aromas such as raspberry or cherry. 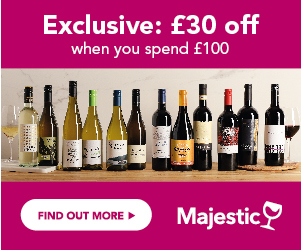 Purchase it before midnight on Friday 21st November to save an extra 20% off your order with our exclusive Waitrose Cellar voucher code. Beaujolais is a French wine region which lies just south of Burgundy. The wine produced there is mostly red from the Gamay grape. Beaujolais Nouveau is a very young wine, released only six weeks after being harvested. It is usually the earliest wine released of the year and a good opportunity to celebrate and taste it! The wine is usually released on the third Thursday of November at 12:01am so the celebrations and tasting can occur on Friday night and during the weekend. People go to events to try the wine in cafés and bars, parties are organized with fireworks and balls, etc. The tradition was exported to several countries in the 1980s and the Beaujolais Nouveau is now celebrated all over the world! Some might say Beaujolais Nouveau is never a really good wine and doesn't deserve such fuss around it, but others think it's still a good opportunity to get together, have a nice time and celebrate French wine. We'll let you decide which side you are on!